The Progress M-29M cargo spacecraft departed the International Space Station on Wednesday after a stay of nearly six months, vacating the Station’s aft docking port for the Progress MS-02 spacecraft due to launch from Baikonur on Thursday and expected to dock to ISS on Saturday to deliver fresh supplies to the six crew members in orbit. Progress M-29M soared into orbit on October 1, 2015 atop a Soyuz U rocket and completed an express rendezvous with the Space Station, pulling into port at the Zvezda Service Module six hours and three minutes after launch. Over a period of weeks, the crew aboard ISS removed about 1,550 Kilograms of dry cargo from the Progress and transfers of water, propellant and pressurized gas were completed over the course of the docked mission. While docked to ISS, Progress served as the Station’s trash can, allowing the crew to place trash and no-longer needed items into the pressurized module of the vehicle. Once empty, the water tanks of the vehicle were re-filled with liquid waste. Approaching the end of the docked stay of the vehicle, the crew put in some extra hours earlier in the week to load the craft with the final disposal items. 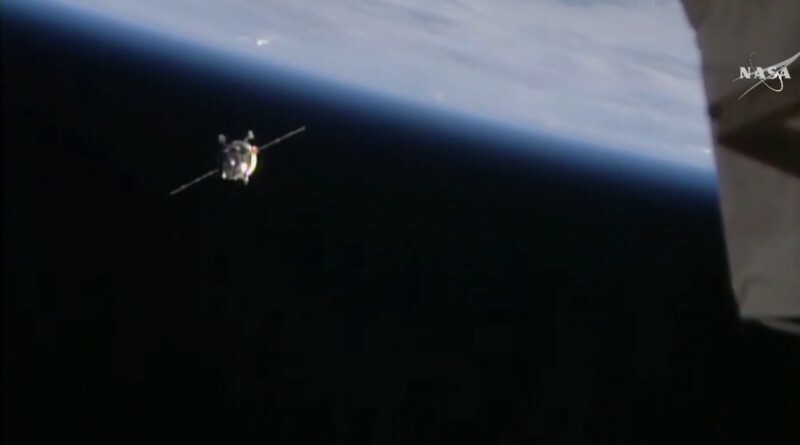 The Progress M-29M spacecraft was activated on Tuesday and the Russian crew members removed air ducts from the vehicle followed by the closure of the hatches to the spacecraft to set up for the standard one-hour leak check. 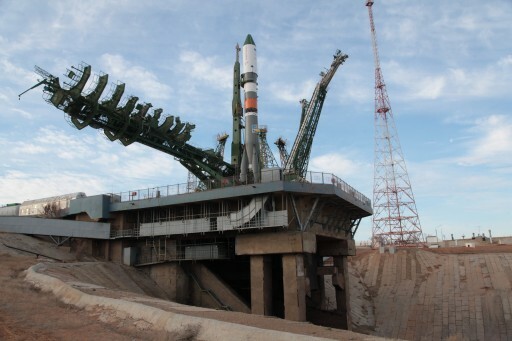 Starting early on Wednesday, Mission Controllers in Moscow configured the Progress for free flight and the vehicle was demated from ISS electrical systems – propellant interfaces had been demated and purged much earlier in the mission. Shortly before separation, the docking mechanism was powered up and the undocking command was issued 90 seconds prior to physical separation to initiate the fully automated opening of hooks and latches to release the Progress. 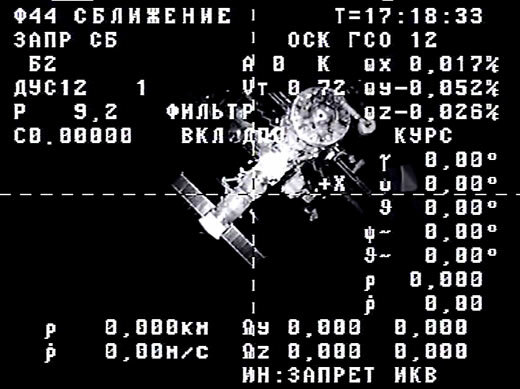 Progress M-29M separated from ISS at 14:15:30 UTC on Wednesday while in range of Russian ground stations. Pushed away by loaded springs, the Progress slowly drifted away from ISS for three minutes at a speed of just 0.1 meters per second. A 15-second thruster firing increased the vehicle’s opening rate and placed it on a rapid departure path, out of the Station’s vicinity. Departing ISS, Progress M-29M will enter an independent orbit below that of the Space Station for a free flight of just over one week, dedicated to the Izgib experiment. The Izgib study aims to determine the micro-gravitational environment in orbit by measuring micro-accelerations using the onboard measurement equipment, micro-accelerometers and onboard gyroscopes of the Progress. These measurements are made in different spacecraft attitudes and positions. The experiment also looks at the influence of the thermal environment of the Progress on the microgravitational conditions measured by the systems. Additionally, inhomogeneous and homogeneous densities in the space environment are measured. When finished with its secondary mission, Progress M-29M will complete a targeted deorbit maneuver to set up for a fiery demise over the Pacific Ocean, currently planned for April 8. With Zvezda’s aft port vacated by Progress M-29M, the way is clear for the launch of the Progress MS-02 spacecraft on Thursday, the second in the improved line of MS spacecraft featuring upgrades to the vehicle’s communications and navigation systems among a number of other modifications. The Soyuz 2-1A rocket with Progress MS-02 was rolled to the launch pad on Tuesday and aims for a nighttime liftoff at 16:23 UTC on Thursday. 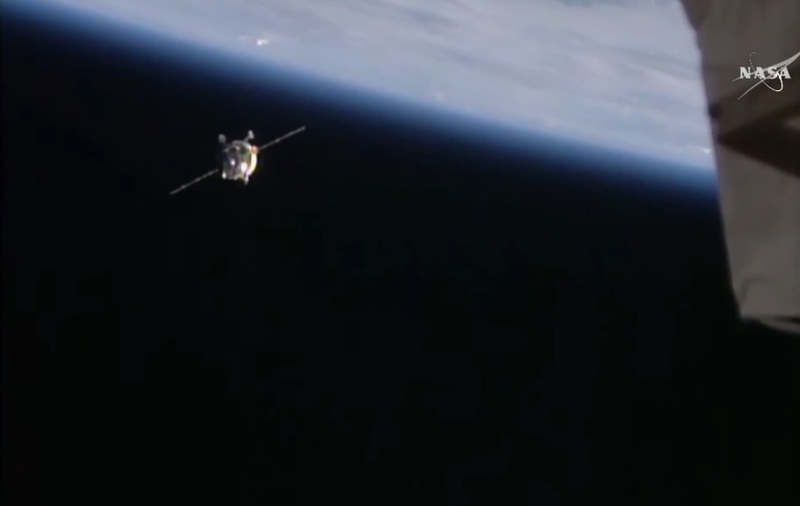 Progress MS-02 will take the scenic route, sticking to a 34-orbit rendezvous to complete engineering tests of the newly introduced systems while flying to ISS. 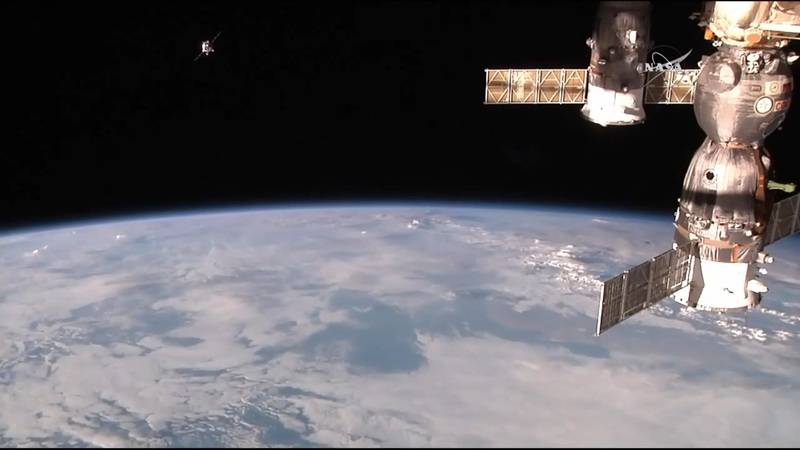 Docking is planned at 18:00 UTC on Saturday to mark the arrival of 2,500 Kilograms of cargo at ISS. This is an extremely busy period of visiting vehicle arrivals at the Space Station with three resupply craft launching in a period of as many weeks. Cygnus OA-6 successfully headed into orbit a week ago and arrived at ISS on Saturday, carrying 3,400kg of supplies. Progress MS-02 is up next, also set for a weekend arrival, and Dragon SpX-8, the return to flight of SpaceX’s Dragon spacecraft after last year’s launch failure, is set for liftoff on April 8.